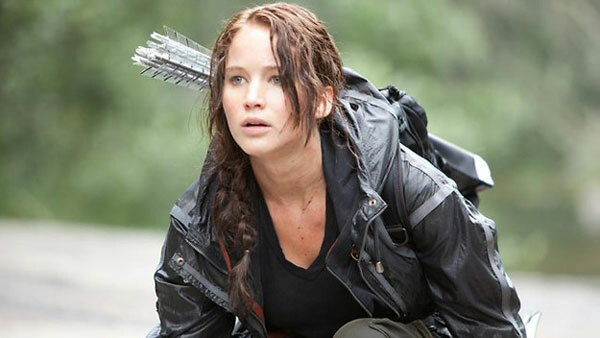 Lionsgate is stealing The Hunger Games Countdown’s thunder. We’re still two days away from the new Countdown, but these items are just too big to wait. 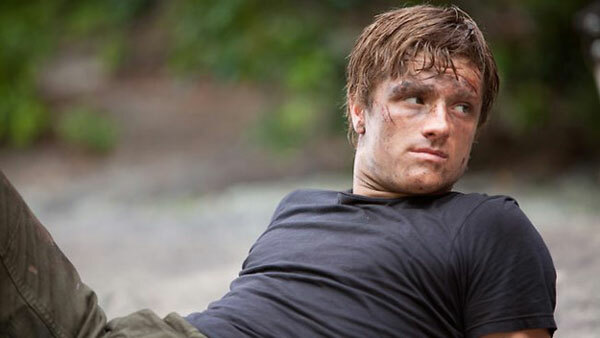 First off, The Hunger Games official stills collection grows by two. They don’t really have anything new to offer, but they do feature our heroes, Katniss and Peeta (Jennifer Lawrence and Josh Hutcherson), in the arena. From what we can see, both arena uniforms look somewhat close to the descriptions in the book. Kanitss has traded in her green blouse for a black one, but has the black jacket designed to reflect her body heat for those cool nights. The only disappointment in this image is her backpack. Sure it’s a minor detail, but that coveted orange pack is such a staple during her fight for survival. At first sight, she suspects the bag could come packed with valuable tools, but soon realizes the orange that “will practically glow in the dark” could also draw danger. Beyond the nitpicking, there’s clearly fire in Lawrence’s eyes and this image proves, yet again, the odds are in her favor to make for an excellent Katniss. As for Peeta, he’s looking pretty bruised and battered suggesting this image comes from a scene towards the end of the film, but, as anyone familiar with the brutality of the Hunger Games knows, the bloodbath begins the moment the gong sounds. This photo does bare some similarity to a behind-the-scenes still we saw a little while back. 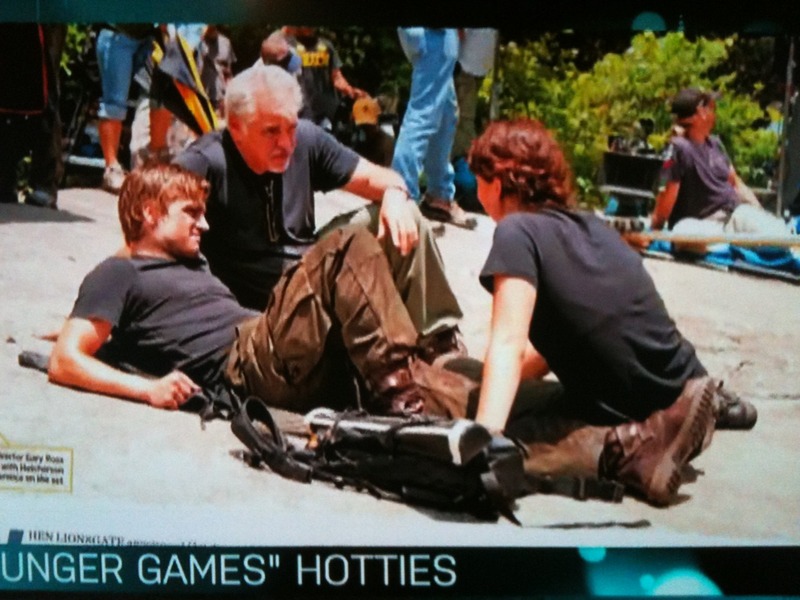 Lawrence was present and accounted for in that shot, which suggests this is from a scene shared by Katniss and Peeta in the heat of the games. While I’m thrilled to see or hear just about anything Hunger Games related, I’ve got my fingers crossed for an official image that gives us a better sense of set and costume design. As reported by ComingSoon.net, Effie Trinket herself, Elizabeth Banks, confirmed that there’s less than a month left of filming, so perhaps those images and maybe even a teaser trailer could be on the horizon. On the other hand, Lionsgate solidified something far in the distance, the release of the second Hunger Games film, Catching Fire. The film is due to arrive on November 22nd, 2013. (My birthday! That’s got to be a good sign, right?) 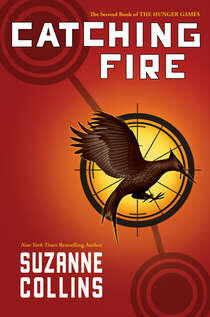 Details on filming dates have yet to be released, but Lionsgate co-COO, Joe Drake, did say, “The magical thing about the Hunger Games trilogy is that the books have such a vastly broad appeal. The stories truly offer something for everyone, and the period around the Thanksgiving weekend is such an opportunity for families and friends to make an event of going to the movies." Let yet another countdown begin!